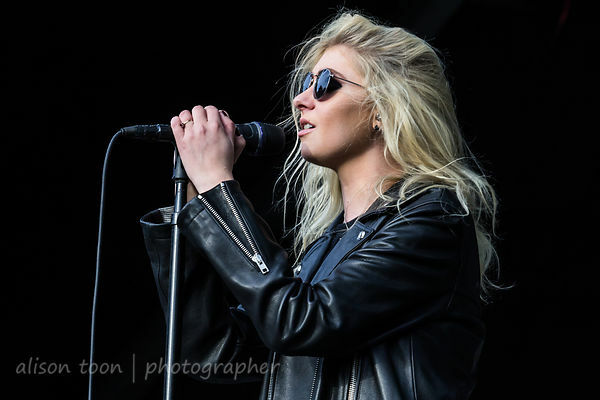 The Pretty Reckless, fronted by Taylor Momsen of Gossip Girl and The Grinch Stole Christmas fame from early in her career, this rock band from New York are seeing some heavy radio play for the song, Take Me Down--and had a huge, appreciative crowd at Aftershock Festival in Sacramento. Strong, radio-friendly rock, with a pretty twist. 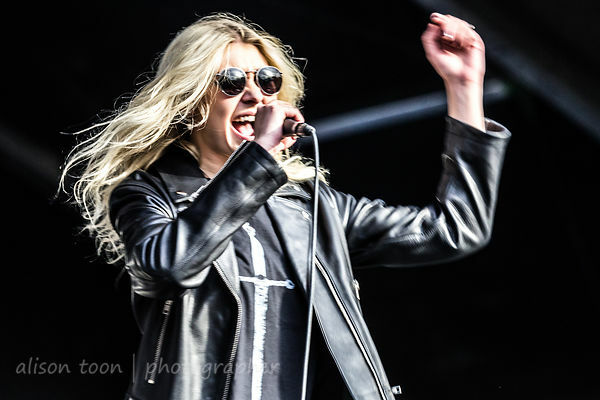 The Pretty Reckless are Taylor Momsen, Jamie Perkins, Ben Phillips and Mark Damon. Their album, Who You Selling For, is out now and available from iTunes, Amazon, Google Play, Spotify, and through the band's merch store for vinyl/merch.